When Dolly Singh first met Elon Musk, it was 2007, and SpaceX had already seen its share of rocket launch failures. Singh had spent the past six years as a recruiter in southern California, matching those who could build rockets with the companies who wanted to enter the next frontier. Then there was Musk, who to the aerospace community was the software guy from Silicon Valley, and he wanted Singh to come work for him and give up her own independent business and clients. She knew his résumé, but she also knew rockets were hard. Musk drew her two lines, Singh said, reenacting it for Business Insider on a Starbucks table in San Francisco seven years later. One line slanted up, showing the acceleration of Silicon Valley, “better, faster, cheaper.” The famous Moore’s law. The other line was flat. The U.S. rocket industry, Musk told Singh, pretty much hadn’t moved over the last 50 years. Singh took the leap of faith, and spent the next five and a half years touring candidates through the SpaceX campus and watching Musk try to pull the rocket industry forward. After years of walking around the hard factory floors, Singh realized there was a different industry that needed to be pulled forward, whose line had likewise remained stagnant. For Musk, it may have been rockets. For Singh, it was the high heel. “To me, when you’re surrounded by some of the smartest people on the planet, building some of the biggest and most badass machines on this world, the idea that my shoes are such crap became really obnoxiously unbearable,” Singh said. Singh had been thinking about her high heel problem for about a year and a half before she approached some of her friends at SpaceX, former astronaut Garrett Reisman and rocket scientist Hans Koenigsmann. 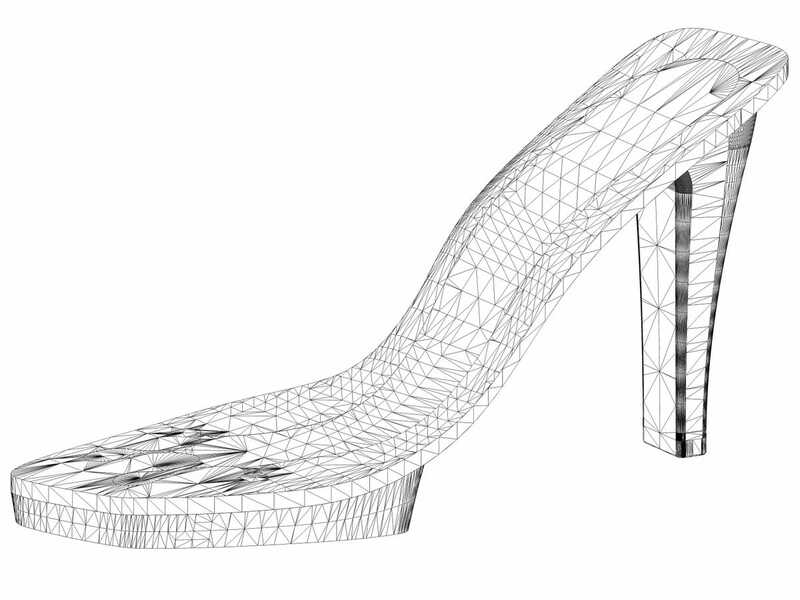 Instead of asking for help with high heels, she approached them with an engineering problem: how would they redesign a chassis to support a human’s weight and range of motion? They took a cue from Musk and broke the problem down to the fundamental laws of physics acting on high heels, or chassis depending on your approach. When it comes to high heels, there’s three: how the shoe distributes weight, what happens when it hits the ground and the friction between your foot and the shoe. Those are the only design constraints, Singh said. The basic shape of the high heel and its materials — a metal plate, a metal shank and compressed cardboard — haven’t changed in many years. “A skinny metal rod and cardboard is basically all you’re standing on when you’re wearing stilettos, so it doesn’t take a lot for scientists to see that it’s not a particularly sophisticated structure from an engineering standpoint,” Singh said. If Singh had stopped there, however, she joked that her friends could’ve helped her design a great chassis, but not a great shoe. She adapted Musk’s approach to building a team, one that had become her own when she helped expand SpaceX. Realizing that there was potential in remaking the high heel, Singh left SpaceX in June 2013 to join the Founder’s Institute, an incubator, to launch Thesis Couture. As soon as she left, though, Nate Mitchell of Oculus reached out and brought on Singh as Director of Talent where she stayed until the company was acquired by Facebook. While working double duty at Oculus, Singh recruited Amanda Parkes, who has degrees from MIT and Stanford, to be the company’s design director. Her role was to help transform the initial engineering work and vision into something that doesn’t look like an orthopedic shoe, but something a woman would want to wear. Part of the process, Singh explained, has been finding a way to manufacture heels and prototype them cheaply. 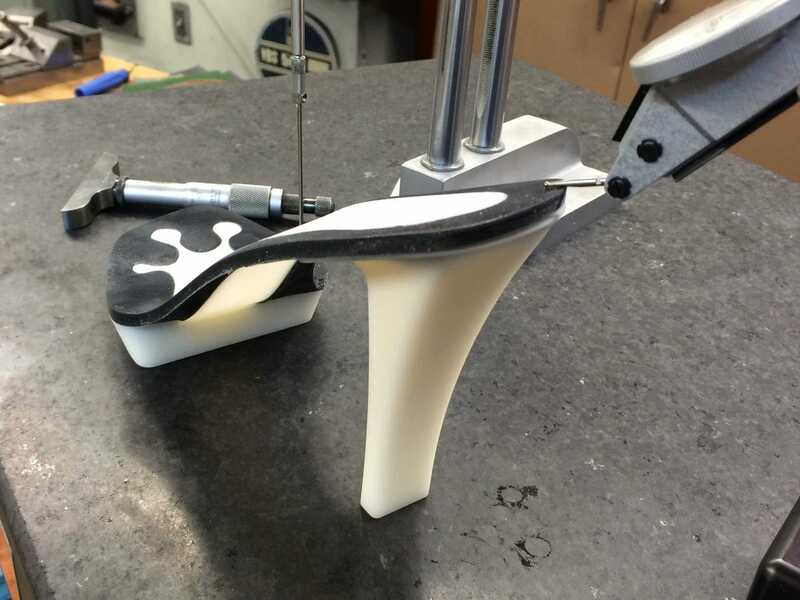 Most heels traditionally can’t be manufactured without a mold, but it’s hard to shell out the tens of thousands required to make one if you don’t have a prototype to try to make sure it’s correct. This is where those lines Musk first drew came back in. Singh brought on Matt Thomas, who had done work with Oakley’s military team and had worked at Oculus, to help with the architectural elements and turn the company’s designs into something that can be manufactured. Thomas also has a background in plastics, which is what the team decided to make the heel out of instead of the old metal and cardboard. Thanks to 3D printing and computer programs, the Thesis team has been able to prototype faster and without the high cost initial investment. The company is also going to experiment with manufacturing in both Brazil and Italy. The mother of four kids has been making the rounds with investors, trying to raise $1 million in angel funding. So far, she’s raised $700,00 from investors including Salesforce’s Marc Benioff and Tom Mueller, co-founder of SpaceX. Musk has not invested in the company, although he did review the slide deck, Singh said. While they are still in the R&D phase, the company’s first 1,500 pairs will be available for pre-order in the fall. The first pairs will be sold for about $925. After that, the initial selection of Thesis Couture heels will range between $350-950 for different styles. Imagine a wristwatch that costs $815,000. Imagine a wristwatch that costs $815,000 and contains no diamonds or precious jewels. Imagine a wristwatch that costs $815,000, contains no diamonds, but in some alternate universe of watch geekery may even be considered, yes, a bargain. The watch is question is the Greubel Forsey Quadruple Tourbillon, of which there are four models. The Quadruple Tourbillon is not only the signature watch of Greubel Forsey, one of the world’s most exclusive watchmakers, based in La Chaux-de-Fonds, Switzerland, it is also one of the rarest current-production timepieces. The tiny company, founded in 2004, produces only five or six Quadruple Tourbillons a year. Even so, how does a single watch command the price of about 100 Rolex Submariners, or maybe 10,000 Casio G-Shocks (not to mention a five-bedroom house in certain New Jersey suburbs). I recently spoke to the company co-founder Stephen Forsey to find out why the watch costs so much. The answer begins with its engineering. “It took five years just to develop this idea, the idea which might seem crazy, to put four tourbillon cages in the space of two,” Mr. Forsey said. To translate, a tourbillon is a tiny rotating mechanical cage, available in only the finest mechanical timepieces, that helps the watch combat the effects of gravity and deliver better time. Putting four (or, technically, two sets of two) into a single watch to smooth out even the tiniest fluctuations is unprecedented, Mr. Forsey said. The result is a performance gain that may seem infinitesimal to an outsider (the watch’s accuracy is designed to vary by less than 2.5 seconds over the course of a day), but is a landmark achievement in the world of mechanical watches. Compare the Quadruple Tourbillon to many Swiss chronometers, which vary by a maximum of 10 seconds over the course of a day. From a technical standpoint, the Quadruple Tourbillon is about “refusing to accept that everything had been achieved in terms of the mechanical watch,” Mr. Forsey said. But the engineering is just part of the story. The Quadruple Tourbillon comprises 534 components, which range in size from the 43.5-millimeter case to a microscopic screw with a thread that measures just 0.35 of a millimeter. And unlike many Swiss watches, even at the high end, many of the components are finished by hand to achieve subtle improvements in shape and texture. This is the primary reason that each watch takes nearly one year’s worth of man-hours to produce, Mr. Forsey said. Even a seemingly pedestrian part like the barrel bridge (a half-moon-shaped component that is visible through the Quadruple Tourbillon’s clear sapphire caseback) requires 15 hours of hand-beveling with a wooden wedge-shaped boxwood polishing stick a fraction of the diameter of a pencil, tipped with diamond paste, to give the surface the desired polish. The value, in other words, goes well beyond the gold (several ounces) in the case or the black alligator strap with the hand-engraved gold clasp, Mr. Forsey said. And this, in the end, may be the most compelling explanation for the extraordinary cost of the Quadruple Tourbillon: scarcity — not just of the watches themselves, but of the human capital required to make them. Of the 100 or so people Mr. Forsey and his partner, Robert Greubel, employ to produce a total of about 100 watches a year in various models, 18 are not technically watchmakers at all, but specialists in hand-finishing. Another way of looking at it: To invest in a Quadruple Tourbillon is, at least for the watch aficionado with very deep pockets, a Medici-like act of patronage to support an art that is largely lost.